With all the different ManyCam effects, you will be able to create amazing live streams and have video calls that stand out. On this blog post, we will take a closer look at each effect category and what we can do with them. The full screen effects can help you “set the stage” according to your live streaming content or video call. They include overlays, which cover the entire screen, borders and backgrounds. An overlay can be used before you go live or during intermission to give your live streaming event a professional look. The overlay could also be used at the end, with your contact information on it. Or you can put your social media handles for your viewers to find you online. You can create your own overlays and upload to ManyCam to use it whenever you need. It can be a simple image that represents you and your event, with a short message such as “We will be back shortly, stay tuned”. 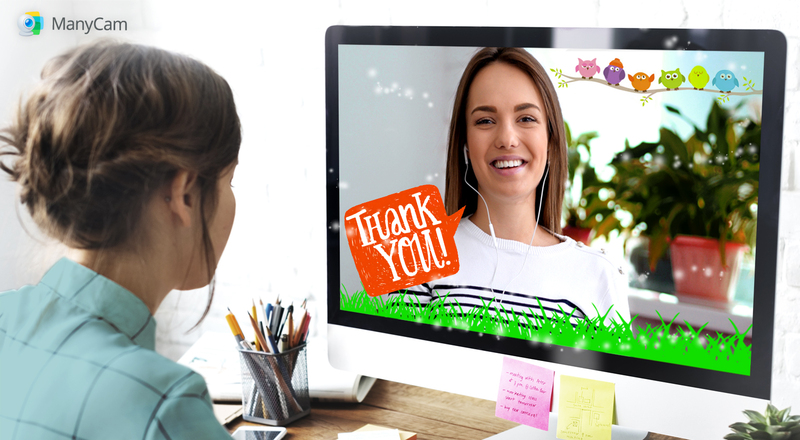 There are over a thousand borders available for download on our Effects Page with them, you can put a creative spin on your video calls. It’s especially handy if you are talking to kids and need to retain their attention. If you are producing a professional live stream, you can create a border with your company’s logo and important information about the event. When viewers tune in to your live streaming they will already learn what they need to know about your live stream. Also, your brand will be memorable to them. Since many people have trouble finding a place to go live with an appropriate setting, we added various background options to the ManyCam effects page. Just like the overlays and borders, feel free to create your own effects, too. The backgrounds are usually applied with the Chroma Key function, and it works best if you have a green or blue screen to place behind you. Nowadays, there are many affordable options out there. The objects are placed on top of your scene, so you can create a more engaging and interesting experience to your viewers. They can be static images or animated gifs. On our website, you will find more than 4 thousand different objects, including emoticons and speech bubbles. You can also create an object with your logo, to place it on your live stream or video conference. Having your logo during your entire live stream on the corner of the screen will give you and your brand credibility. If you go to your effects tab on ManyCam, you will also find many face accessories and masks. With them, your next video call will be more fun than ever. You can add, for example, eye accessories like glasses and eye patches, hats and wigs. Or create your own face accessories and share with the ManyCam Community. Apart from the wide selection of 2D masks you can find on our website, ManyCam now also has 3D Face Masks that wrap around your face. 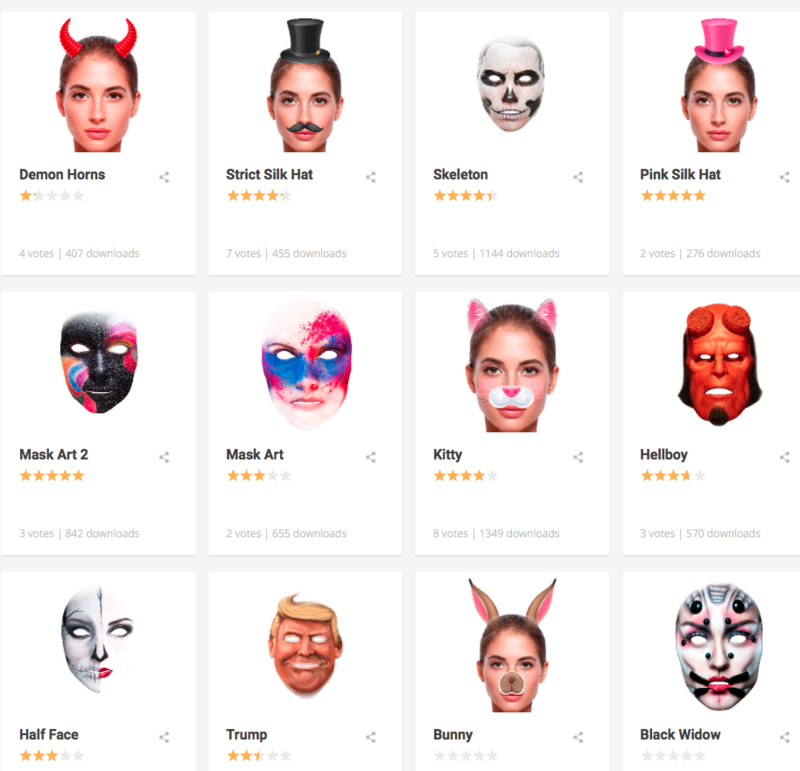 Here are some of the recently released masks you can download and add to your ManyCam. Filters and distortions are special effects applied live on your video. These ManyCam effects can help you give your live stream a different look to stand out. A few examples of these effects are the black and white filter, brush art filter, old movie, etc. There are also flames, water, snow and many image distortions that you can use during a video call to have some fun. Lower Thirds is more than an effect, it’s an entire feature that has a tab of its own. Still, it deserves a mention here because it creates a visual effect and it can help you create professional live streams. For the viewers, it’s extremely important to know the presenter, so they can trust her/him. On ManyCam 6, you can easily turn the lower third off and on, as well as edit the text and subtext. There are a few options to choose from when it comes to the look of it and there are more on the way. This is the only effect that when applied will show up on all of your scenes. So, if you transition from one video source to the next, the lower third will stay there until you turn it off. While all the other effects remain on the scene that you placed them in. ManyCam effects can be powerful weapons to create outstanding live streams and have engaging video calls. Let us know what your favorite effect is in the comments below. With ManyCam effects, you can let your creativity run wild! Download ManyCam and give it a try!